Need something to do today? Check out A Thing To Do Today in Berlin. Here's A Thing To Do Tomorrow in Berlin. Discover ideas for indoor and outdoor events and activities to see, do, visit and experience tomorrow for Berlin. Have an adventure. 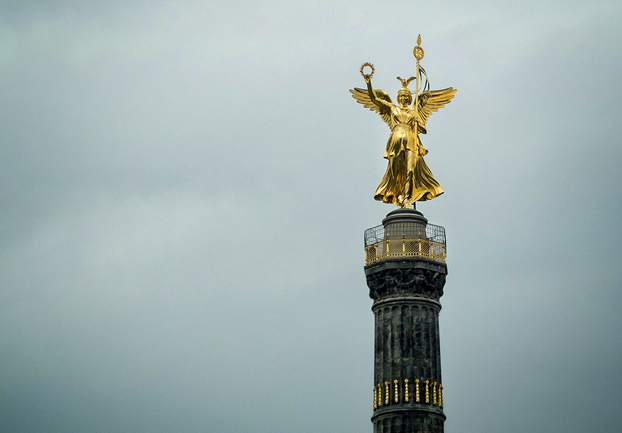 One of the symbols of Berlin, the city's Siegessäule (Victory Column), right in the centre of the Tiergarten, is 67m high and - if you're feeling fit enough - you can climb the 265 steps to the top to discover unique views of Berlin. Climb up from 9.30am to 7pm today. A Thing To Do Tomorrow generates things to do and places to go tomorrow, online and offline, this spring, for Berlin and beyond - whether you're visiting Berlin or a Berlin resident. To see another thing to do, just reload the page. Find out more about the site, or for comments, suggestions, corrections, donations, or just to say hi, email john@athingtodotoday.com. Or check out social media @athingtodo.